As a young girl, Ailsa moved from England with her parents and dreamed of becoming a nurse. Now as an ER trauma nurse, she enjoys and plays along when children misunderstand the pronunciation of her name (ALE-SAH) and think she's the queen of Disney's Frozen, Elsa. 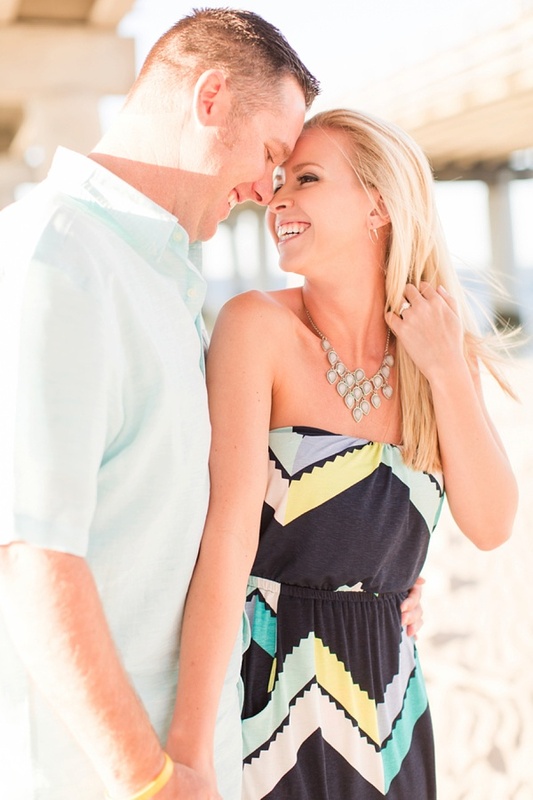 And her straight blonde hair doesn't help the confusion, but surely helps her young patients smile! 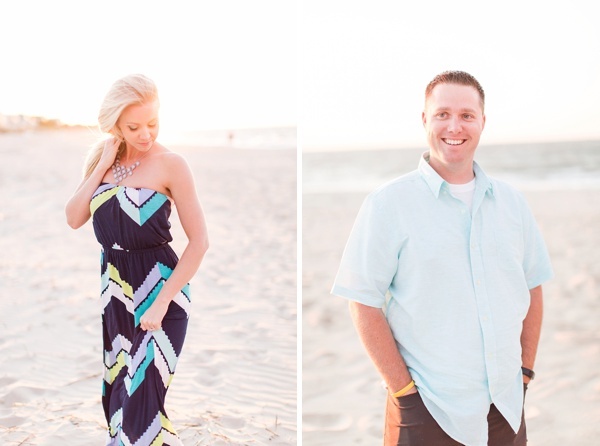 So it was no surprise when this nurse found and fell in love with a first responder named Steven. 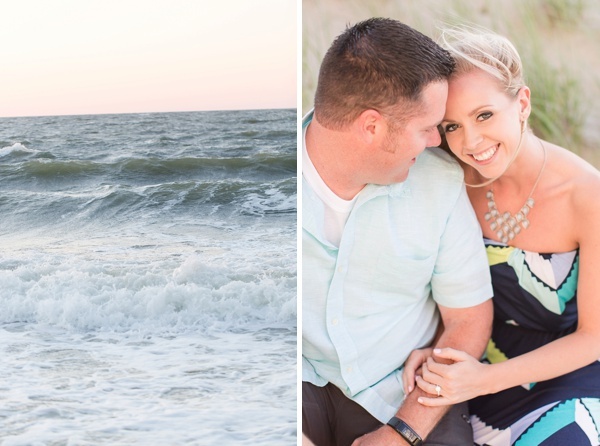 To celebrate their love for their area, Ailsa and Steven's engagement session with Amanda Manupella Photography was at Chicks Beach in Virginia Beach. 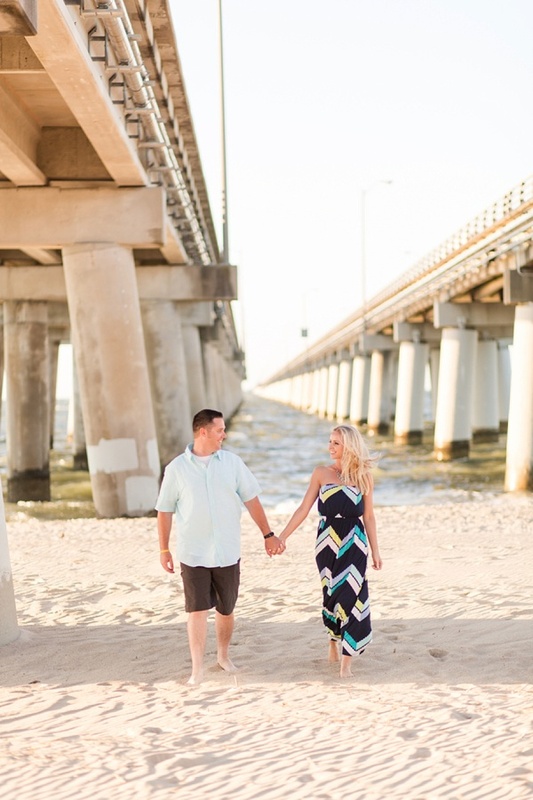 With the Chesapeake Bay Bridge, grassy beach hills, and dreamy sunset light, it was an afternoon of smitten love between two people who give so much to their communities through their careers.